March 14th - Featuring Butterfly Freebies! -- Celebrate by learning a little more about the wide range of butterflies. Buy a Butterfly identification book so you will know which butterflies inhabit your yard. Learn how to attract them to your yard, by planting flowers they like. If it is still too early, plant them inside for now. -- Gardening for Butterflies, by the experts at the Xerces Society, introduces you to a variety of butterflies who need our help and shows you how to design a habitat where they will thrive. 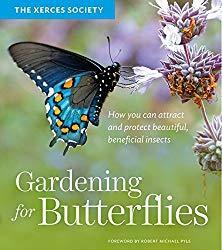 This optimistic call to arms is packed with everything you need to create a beautiful, beneficial, butterfly-filled garden. 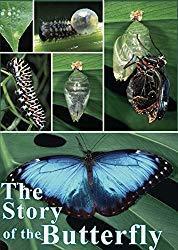 You will learn why butterflies matter, why they are in danger, and what simple steps we can take to make a difference. You will also learn how to choose the right plants, how to design a butterfly-friendly garden, and how to create a garden which flutters and flourishes with life. 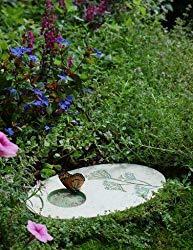 • Outdoor Butterfly Puddling Stone -- Butterflies gather around mud puddles to get the minerals they need. This hand-painted ceramic Butterfly Puddling Stone is a beautiful way to create your own puddling station. 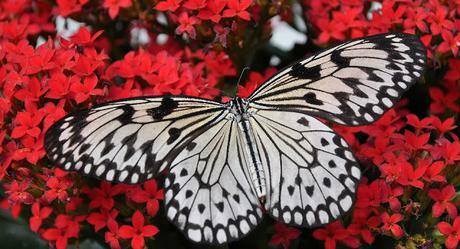 Place it in a sunny location among your flowers where butterflies can sunbathe. Fill the well with sand, mix in a pinch of salt, and pour water over it until a puddle forms on the surface. As the water evaporates, it leaves behind valuable salts and minerals that butterflies need. Once butterflies know where to find these minerals, they'll return regularly. Placing pieces of overripe fruit on the stone is another way to attract butterflies. 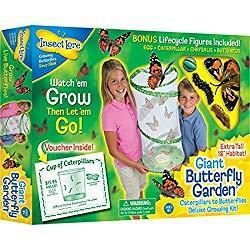 • Insect Lore Giant Butterfly Kit -- See the Miracle of Metamorphosis with the Giant Butterfly Garden! Your child will never forget the experience of witnessing the metamorphosis of five caterpillars into beautiful Painted Lady Butterflies. This Giant-Sized Butterfly Habitat has super-see-through mesh perfect for butterfly viewing. The reusable habitat stands on a table or hangs from its handy Velcro carry handle. Butterfly Life Cycle Stages figures are also included. 曆 Save Monarchs With Free Milkweed Seeds | S.A.S.E. - It is hard to believe the world's most famous snack food began as a joke. Potato chips were first made in 1853, while Commodore Cornelius Vanderbilt was on vacation in New York. At one restaurant, he kept sending his fried potatoes back to the kitchen because he said they were too thick. The chef, George Crum, decided he would cut them into paper-thin slices, boil them in oil, fry them, and salt them as a joke to the Commodore. It backfired. They became an instant success and the restaurant was well known for them. - Spiders are quite helpful, but despite this fact, these little eight-legged creatures inspire fear in many. Save a Spider Day is the perfect time for parents and teachers to introduce children to these little wonders who consume countless crop-destroying, disease-carrying insects annually. - An American railroad engineer from Jackson, Tennessee, who worked for the Illinois Central Railroad (IC) was born on March 14, 1863. On April 30, 1900, he alone was killed when his passenger train, the Cannonball Express, collided with a stalled freight train at Vaughan, Mississippi, on a foggy and rainy night. His dramatic death, trying to stop his train and save lives, made him a hero; he was immortalized in a popular ballad sung by his friend Wallace Saunders, an African American engine wiper for the Illinois Central Railroad. - The 14th of each National Craft Month is designated as National Children's Craft Day, which is an excellent opportunity for families to help develop their children's self-esteem and learning skills through arts and crafts. With hobbyist and craft organizations holding events all month long, there are many valuable opportunities to bring families and community closer. - Albert Einstein, the discoverer of the Theory of Relativity, was born at Ulm, in Württemberg, Germany, on March 14, 1879. Einstein always appeared to have a clear view of the problems of physics and the determination to solve them. He had a strategy of his own and was able to visualize the main stages on the way to his goal. He regarded his major achievements as mere stepping-stones for the next advance. - On the birthday of Albert Einstein, we honor all scientists. - Almost everyone has heard, There are no stupid questions, only stupid answers, well today is the day you can ask as many questions as you want. Answer every question today with a question. - A day set aside to honor moth collectors and specialists. Celebrated in museums or libraries with moth collections. - Founded at the Exploratorium by our own Prince of Pi, physicist Larry Shaw, Pi Day has become an international holiday, celebrated live and online all around the world. The ancient Babylonians calculated the area of a circle by taking 3 times the square of its radius, which gave a value of pi = 3. One Babylonian tablet (ca. 1900–1680 BC) indicates a value of 3.125 for pi, which is a closer approximation.